Family and friends will gather to celebrate her life at 2:00 PM Friday, December 7, 2018 at the McNett Funeral Home Chapel, in Andrews with pastor Dan Galloway officiating. Interment will follow in the Andrews Old Cemetery under the personal care of McNett Funeral Home.The family will receive friends Thursday, December 6, 2018 from 6 - 8 PM at the funeral home. 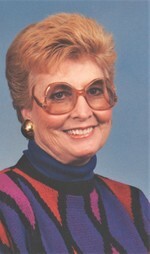 Please celebrate Rosie's life by visiting www.mcnettfuneralhome.com. Rosie is survived by her daughter, Bobbie Vail of Garland, Texas; 4 sisters, LaRue Johnson of Comanche, Oklahoma, Doris Chamber of Lampasas, Texas, Geneva Kutin and her husband Alex, of Indianapolis, Indiana and Nona Goolsby and her husband Rick, of Weimar, Texas; 1 brother, John “Jay” Harris and his wife Gerelene, of Mabank, Texas; 3 grandchildren, and 7 great- grandchildren. To send flowers to the family of Rosie Lee Teakell, please visit our Heartfelt Sympathies Store.